New Listing! Charming Single Story Ranch Home with 3 Bedrooms, 2 Baths, 1499 sq.ft. of living space. The upgraded kitchen has new granite counter tops, tile backsplash, newer white kitchen cabinetry with generous pantry space, stainless steel stove and built-in microwave, plus a stainless steel farm house sink. You will love the upgraded bathrooms with new white marble counters with wall-to-wall tile and tile accents. Additional amenities include a spacious family room with fireplace, tiled entry, hardwood flooring throughout, central air conditioning, mirrored wardrobe closet doors, 2-car attached garage with a roll-up steel garage door, a huge 7631 sq.ft. lot size, and a rear covered patio area. 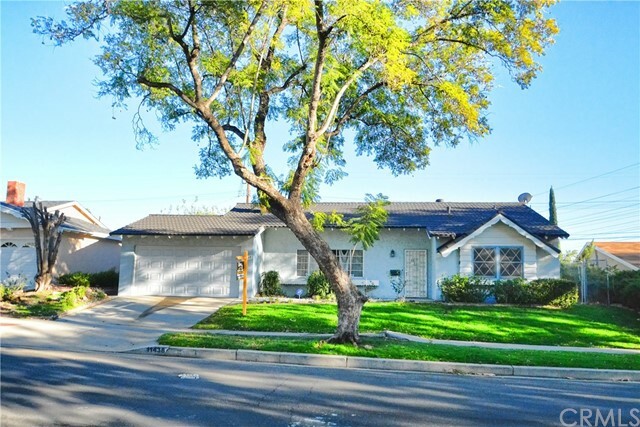 This desirable Granada Hills neighborhood is also within walking distance to John F. Kennedy High School.